Boiled Beans on Toast is a satirical play revolving around the lives of half-a-dozen people who have opted to live in Bangalore. The play is based on the interwoven lives of these people who are different from each other in every aspect, ranging from their social strata to the geographical area from where they hail. Based on the story by the nation’s finest playwright Girish Karnad, and directed by Lillete Dubey, the Boiled Beans on Toast features the nation’s best artistes coming together on stage to deliver the finest performance. 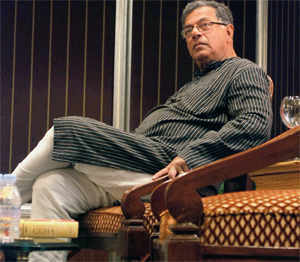 Girish Karnad, born as Girish Raghunath Karnad is a contemporary writer, playwright, actor and movie director in Kannada and several other south Indian languages. He is the latest of seven recipients of Jnanpith Award for Kannada, the highest literary honour conferred in India. Penning the most entertaining and engaging stories for over four decades, Karnad has been composing plays, often using history and mythology to tackle contemporary issues. He is also active in the world of Indian cinema working as an actor, director, and screenwriter, earning numerous awards along the way. He was conferred Padma Shri and Padma Bhushan by the government of India. The play Boiled Beans on Toast is a story based on the lives of people in the metropolitan cities and the dreams they cherish. Starting under the same roof, the lives of these people take different turns and get entangled in a swirl of things where they lose track of themselves to the extent that they separate or collide with one another. The play is a slice of life based on the intertwined lives of the high-society rich women, the lower middle-class people with their urban dreams, the temperamental maids, a rich kid who is a rebel, and a grandmother (who discovers divinity in a place as unlikely as a race course!). All the characters in the play are striving to lead a better and fulfilled life. Shilpakala Vedika, has played host to several extravagant events in the past and promises to recreate the charm with the Qadir Ali Baig Theater Festival 2014 as well. The wonderful acoustics available at the venue, amazing line-up of artists, etc., together would etch this spectacular event in the golden pages of its history. Since its inauguration in 2002, Shilpakala Vedika has been home to several extraordinary events like TRADE shows, conferences and product launches, audio releases and high profile weddings.